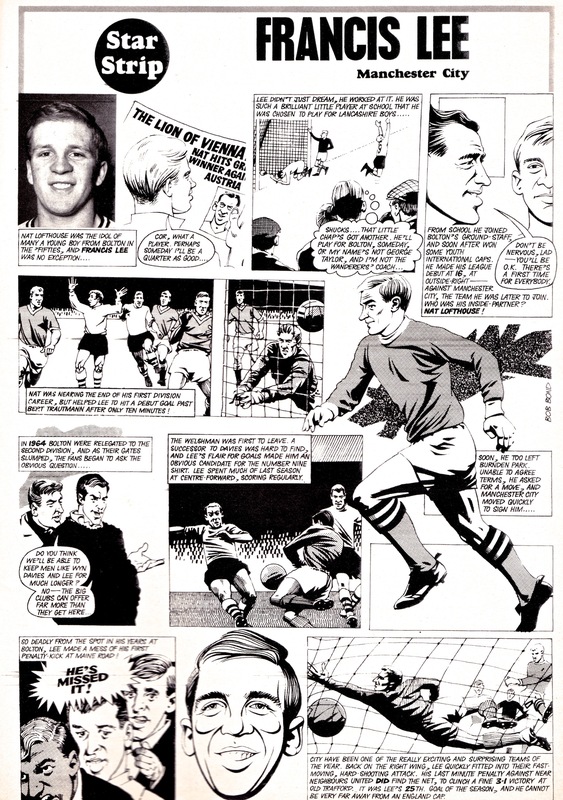 Today’s Star Strip captures the career of Francis Lee as of the spring of 1968, an exciting time at Manchester City with the forward looking every inch ‘the final piece of the jigsaw’ City manager Joe Mercer promised he would be following his arrival from Bolton. Lee’s goals inspired a fine run of form in the second half of the 67-68 season that would take City to the title, the first of a number of trophy wins Lee would play a pivotal role in. A second championship medal arrived late in his career with Derby County. 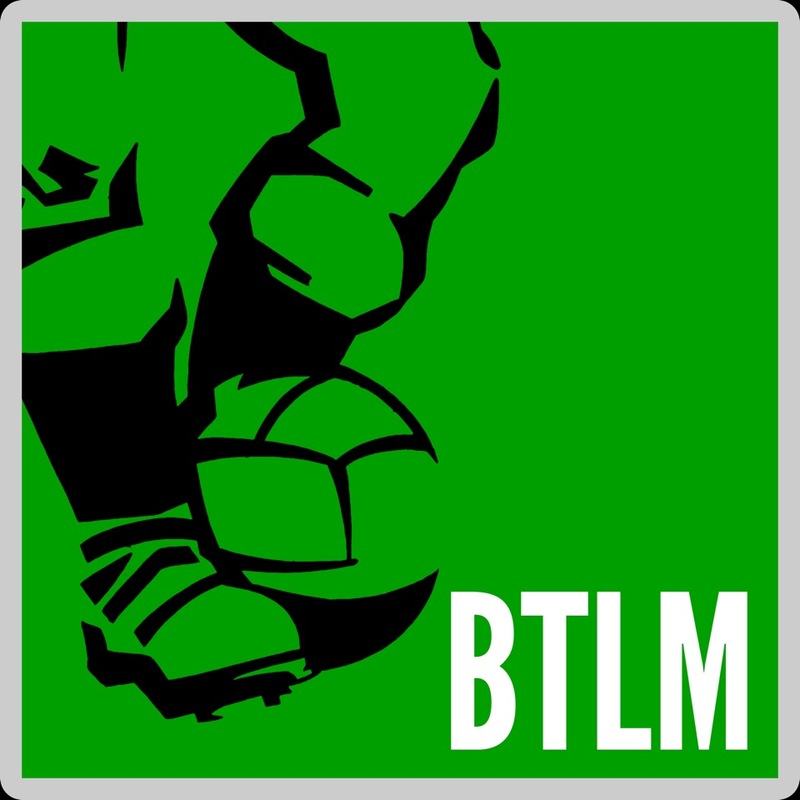 As fine an illustrator as Bob Bond is, to BTLM’s mind he never accurately captures the striker’s distinct look. We think his representations of Lee actually bear closer resemblance to the Italian international striker Roberto Boninsegna. Ah, you are talking my kind of language now. The man with the hardest shot in football – legend has it that during a training session Lee once struck a shot so hard that when it hit the post it turned the pitch round. An anecdote in keeping with the work and times of Bob Bond.